Thanksgiving is a time that reminds us all to take a break from our hectic lives and reflect on our blessings and all we have to be grateful for. So I wanted to take a moment to express my sincere thanks to my clients, partners and team and colleagues. Thank you to the clients that we’ve had the pleasure to serve this year. 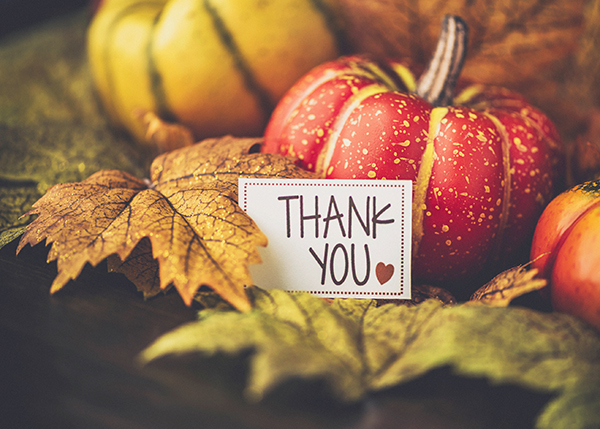 I am grateful for the trust you placed in my team and I at VIP Mortgage to help you get into the home you wanted or to refinance your current home. It is an honor for us to play a part in making your dreams come true. You are the reason we do what we do each and every day! To all of the business partners we work with to create a positive home buying experience, I want to express my thanks. Strong relationships, trust and respect are vital to the mortgage and real estate industries and I truly value each and every one of you. To my team and colleagues at VIP Mortgage, thank you for leading by example and working to spread kindness and honesty. It is the emphasis on valuing people and helping them achieve their individual goals that gives me such pride. From prioritizing customer satisfaction to giving back to the community, I am grateful to you, my VIP family. I wish you a wonderful time as you gather with your family and friends this holiday season. It is my sincerest wish that your holiday is filled with wonderful experiences and the opportunity to build lifelong memories. Happy Thanksgiving!